An American woman doctor comes to Tanzania to work at a hospital for the mentally disturbed, with her Tanzanian lover. There, she meets a sometimes catatonic patient, Samahe, who seems to be in communication with another reality. In their confrontation with their individual and collective pasts, Dr. Asira and Samehe are connected by fears and half remembered images of unbearable pain. 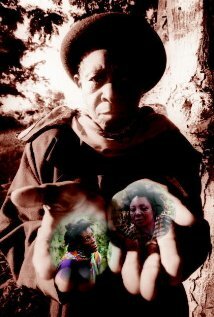 Only through the spirit of Maangamizi, can the women resume their lives with an understanding of the ancestors and their eternal presence in a world of cruelty, hatred and death. It is a story that seeks to reclaim the connection between Africa and her Diaspora, and one that dares to represent the histories of two continents as it peels away layers upon layers of pain to bring healing of the soul.